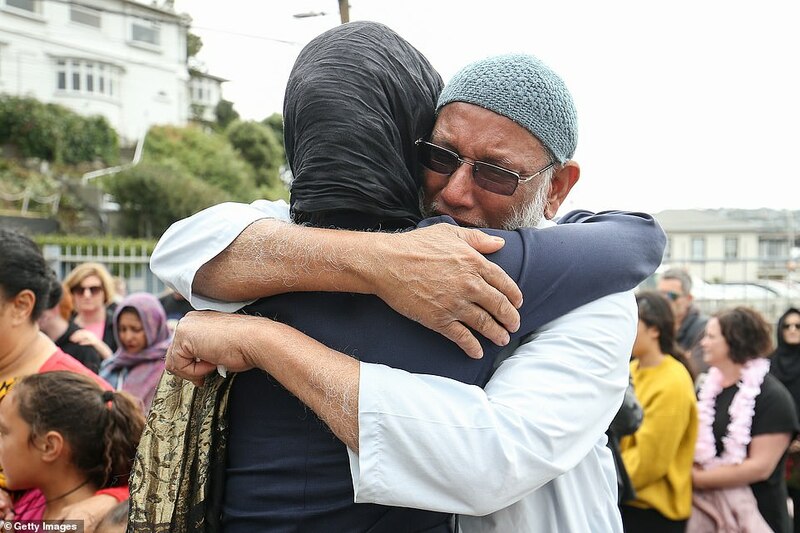 There were emotional scenes outside a New Zealand mosque today as the country’s Prime Minister embraced crowds – just days after a shooter massacred dozens of worshipers at Friday prayer. 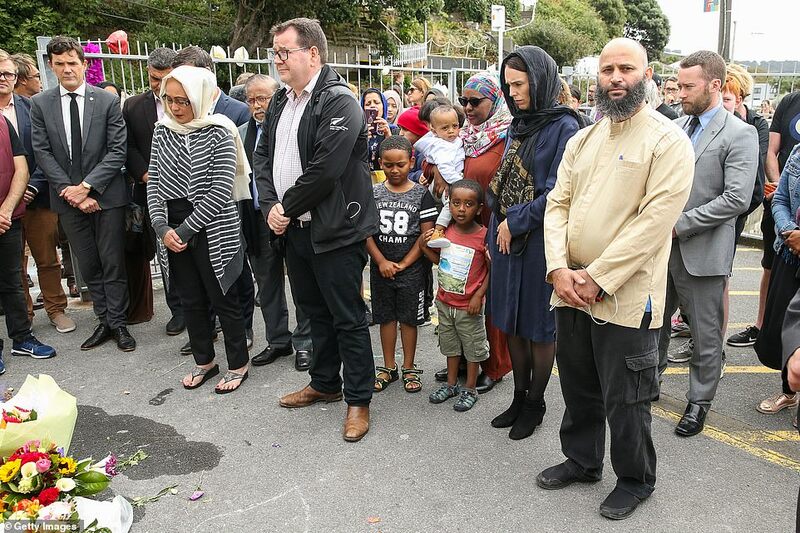 Jacinda Ardern visited the Kilbirnie mosque to comfort those affected by the tragic shooting which saw 50 worshipers including children, a renowned heart surgeon and a talented sportsman shot dead as they prayed. 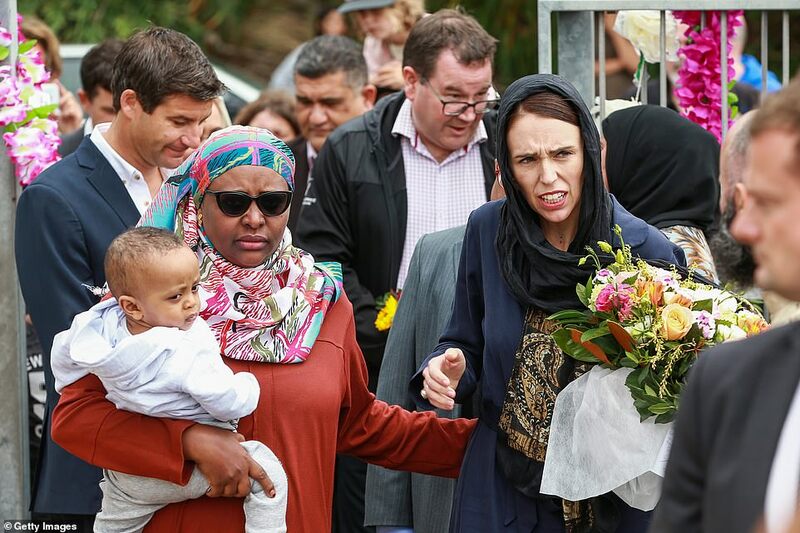 White supremacist Brenton Tarrant live-streamed the sickening attack on Facebook in which he allegedly killed dozens of Muslims during Friday prayers using four guns at two mosques. 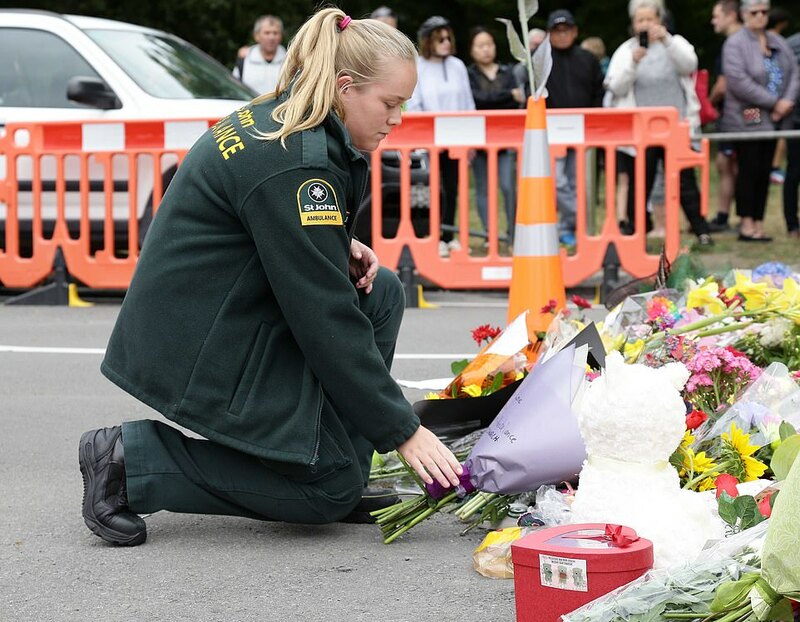 He subsequently appeared smirking in court charged with murder on Saturday morning, after allegedly opening fire inside the Al Noor Mosque before driving to the Linwood Masjid Mosque across town and continuing his rampage. 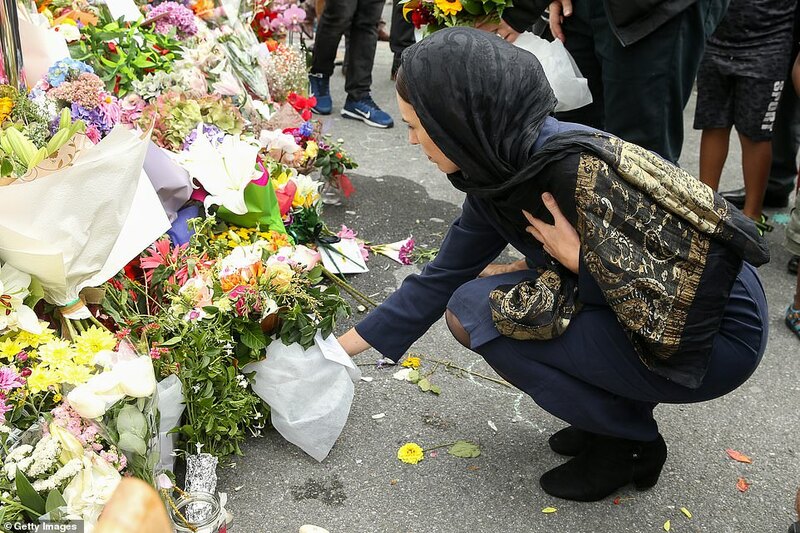 It has now emerged that his extremist views may have been fueled by a trip to Britain, which he made during a two-month-tour of Europe. 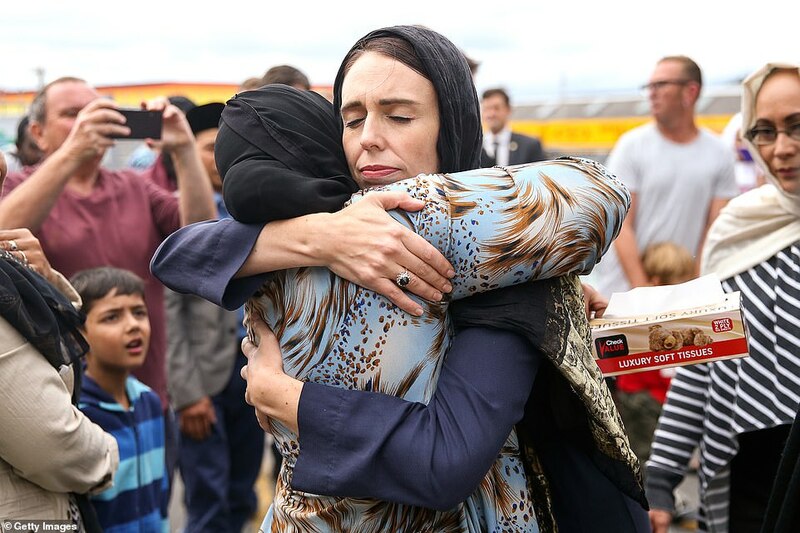 With The Sunday Telegraph quoting a senior government source as saying he ‘transitted’ through Britain in 2017, staying ‘for a few weeks’. 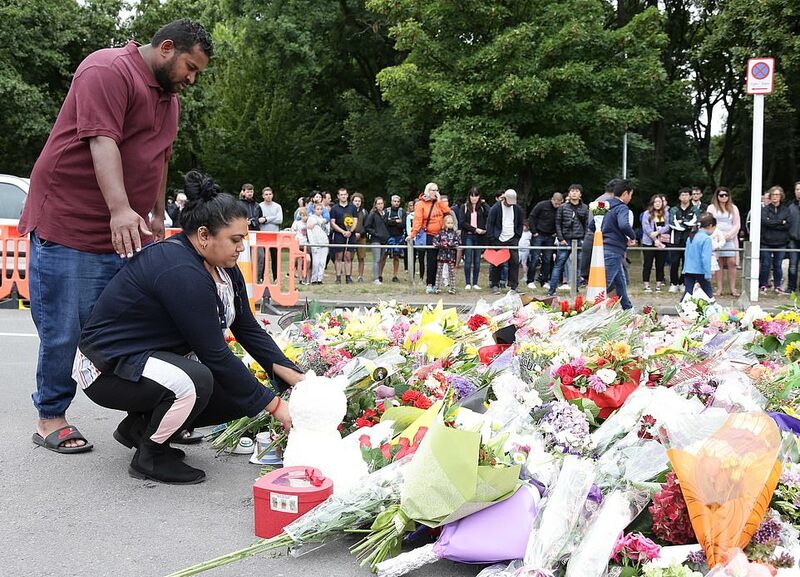 The newspaper claims that in the summer of 2017, Tarrant hired a car in eastern France where he visited war graves, before heading to the UK possibly by ferry.